New research from Parks Associates shows a steady increase of consumers who are connecting their smart technology to the Internet. In 2018, 83% of smart TV owners connected their device to the Internet. Additionally, 40% of US broadband households now own a streaming media player, a dramatic increase from the 21% in 2014. Consumers desire for content and how they’re receiving content have increased as videos have become more mobile and personalized. 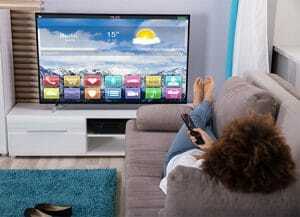 The availability of connected devices creates more opportunities for streaming and OTT services in the home, encouraging service growth. For example, AT&T plans to offer a tiered video streaming service. The key sessions at the Future of Video conference will focus on distribution opportunities and challenges for content producers and how VOD, Linear, OTT and pay TV come together. Factors driving smart TV and connected entertainment adoption were discussed at Park’s inaugural Future of Video conference. For details, click here.